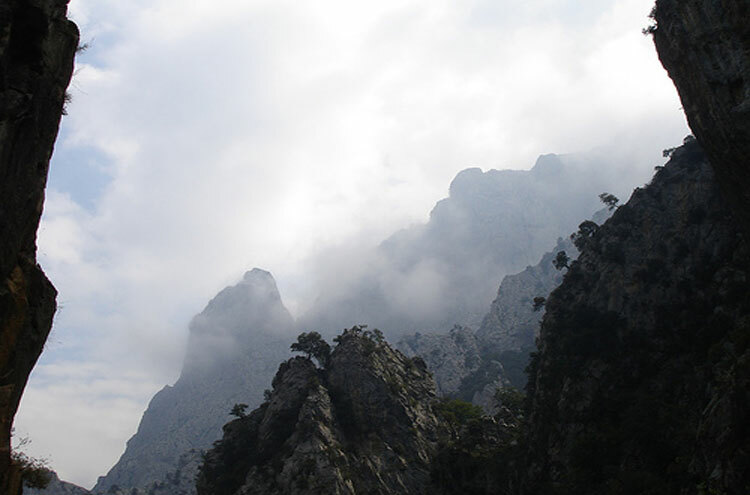 Remarkable, jagged range of limestone mountains running along Spains northern coast. A surprisingly untouristed areas: high summer-grazing land scattered with isolated, unique villages beneath dramatic crags and rocky spires. Unrivalled flora and fauna. A network of walks at varying levels and lengths through one of Europes last true wildernesses. This is high country, exposed to Atlantic weather; rain is common, trails can get cut off by snow in winter, and the area is famous for sudden and dramatic mists. The Picos de Europa (Peaks of Europe) are an offshoot of the Cantabrian mountain range: an area of jagged limestone peaks (said to be the largest single mass, over 2,000m thick in places, of limestone mountains in Europe) 20km inland from Spain's northern coast. It is generally assumed that the name originates from the fact that they would be the first sight of landfall for travellers crossing the Bay of Biscay from America: Cantabria's capital, Santander, was the primary jumping-off post for the Americas for many years. The area has been inhabited (as evidenced by a large amount of cave art) since Paleolithic times, and has been consistently farmed for the past 5,000 years, producing a landscape of meadowlands, forests and tiny summer-pasture villages, their lush plateaux isolated from each other by giddying river chasms and overlooked by stern, precipitous peaks. Above the meadows and forests is a harshly beautiful world of ice-cracked cliffs, spires, towers and scree. Think Dolomites. In the summer, the upper meadows resound to the musical bells of livestock brought up from the valleys; in the winter, the villages are almost entirely deserted, the plateaux mostly cut off by snow. 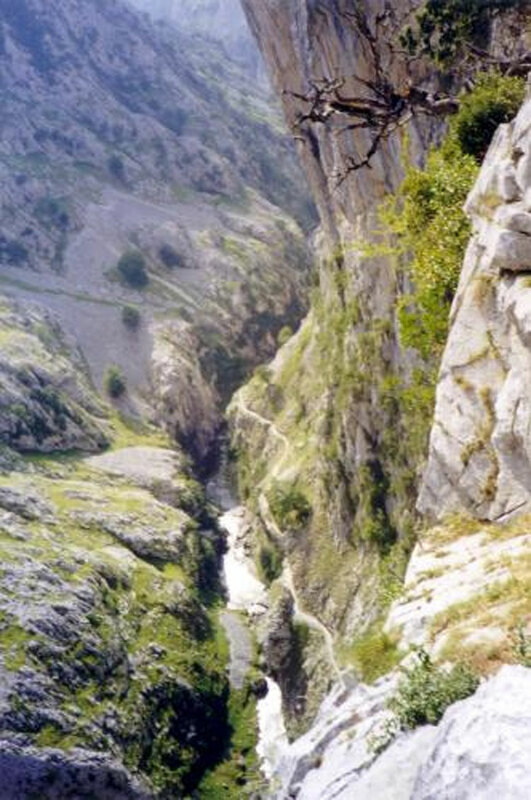 The Picos saw Romans building roads to help conquer resistant Celts, and the Moors' first defeat in Spain. There has been a lot of mining, with old shafts in ludicrously inaccessible cliff-faces and some disfiguring spoil, but this has left a lot of walkable tracks. A national park since 1918 (and Spain's first), this area has remained delightfully unaffected by modernity and Spains tourist trade. Many locals still have no language other than their own, and much agriculture is still carried on without the benefit of machinery. 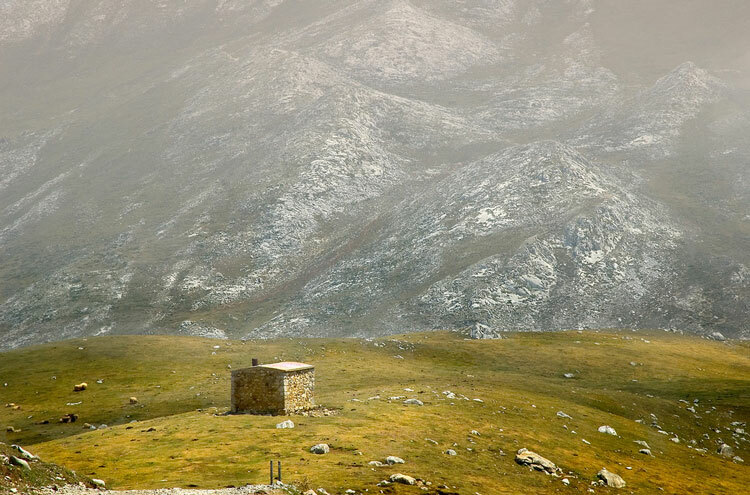 As a result, the area has a stunning array of flora and fauna and the area is home to endangered species such as the Cantabrian brown bear, the Iberian lynx, wolves and the delightful local Cantabrian chamoix (the rebeco), as well as huge vultures, choughs, buzzards and a diverse population of butterflies. The walking here is as good as it gets. While there can be tough slogs and scrambles to and from the high ground, the high plateaux can contain easy tracks over pastures or cracked rock surrounded by towering peaks and spires. New vistas open up repeatedly as you turn corners, cross ridges or rivers or emerge from ancient woods. An alpine-style idyll at its best. 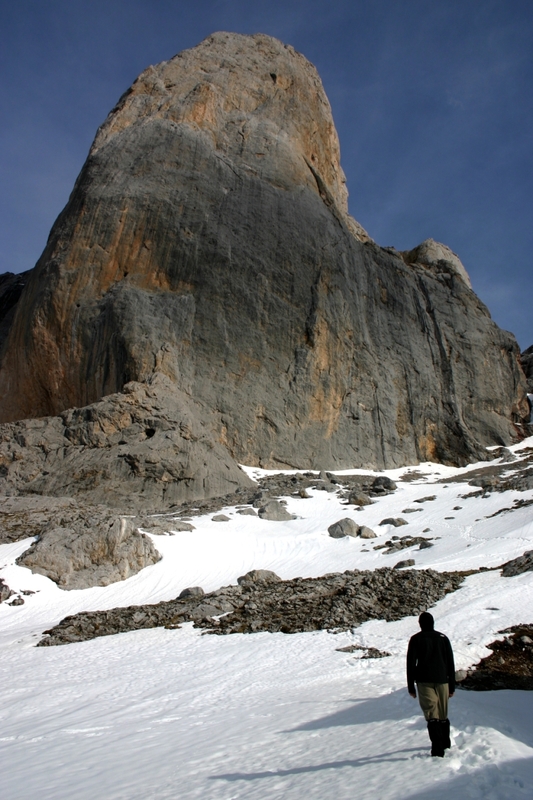 The Central Picos Traverse, which arrows across the highest parts of the central massif. 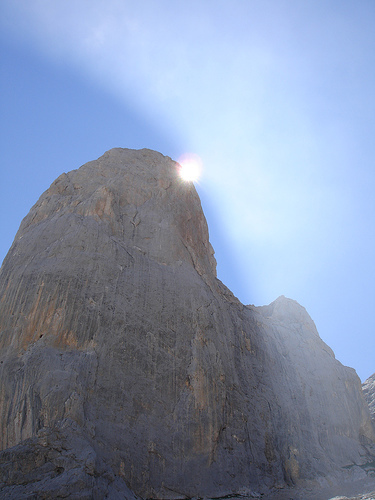 The Jermoso Traverse, which crosses the peculiarly beautiful and dramatic western corner of the central massif. A Central Picos Circuit. There are many options, but we did (and recommend) a combination of the Central Picos Traverse, the Cares Gorge and the Jermoso Traverse. Cicerone has an alternative Tour of the Central Massif. The Tour of the Western Massif, suggested by Cicerone. The Lago de La Ercina Circuits. Other good walks include the Rio Casano and the La Molina gorge (easy; 5km/1h30), with bonus swimming; the Bedoya valley circuit (easy; 5km/1h30), where each village comes with its own palacio; Potes-Frama-Lubayo-Collado de Porcieda-Tudes-Porcieda-Inerval de Tolibes-Potes (moderate; 13km/4h): which goes through some of the area's more remote villages. More Mediterranean in flavor: La Ruta de Treviso (moderate-strenuous; 12km/5h), old mining trail to an isolated village: some tough sections with spectacular views; Puerto san Glorio-Cosgaya (easy; 10km/2h50): a straightforward walk through high country (pass closed May-November) affording spectacular views (best to park in Potes as the start and end points are not linked by bus).